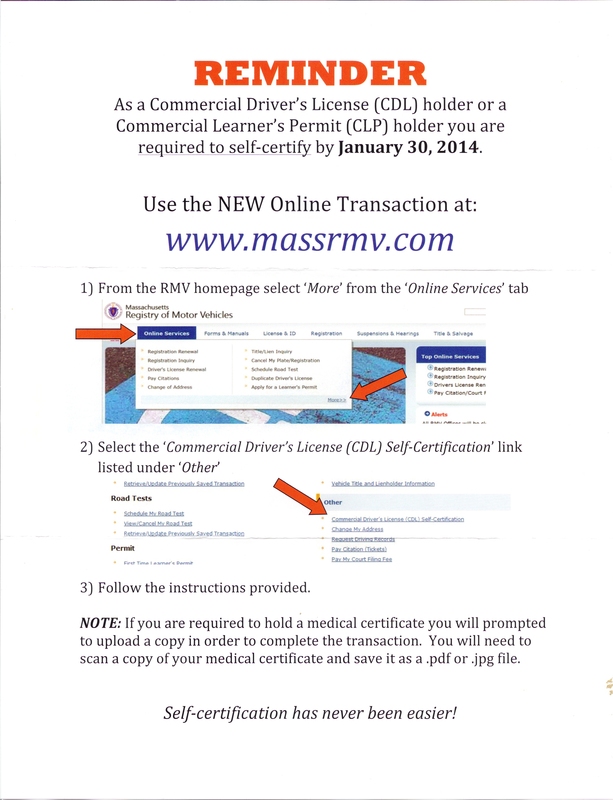 Anyone who holds a CDL license must self-certify with Mass RMV by January 30,2014 or be downgraded to a Class D License. 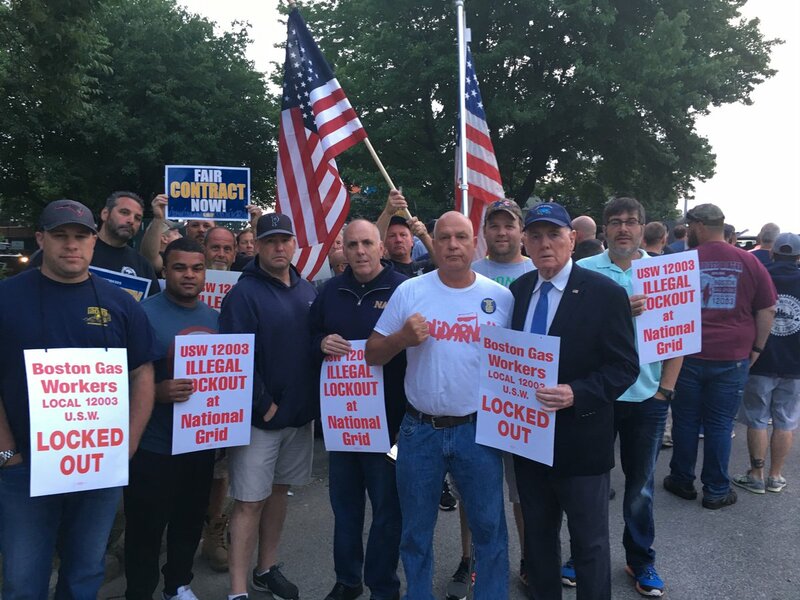 It can be done online, and the links are provided here at the bottom of this article. I've also added a page dedicated to License ond DOT renewal info under the member resources section. You can visit that page by clicking this link. If you've already self certified in person at the registry, or by mail, it's my opinion that you should check your status online to make sure it was recorded correctly. 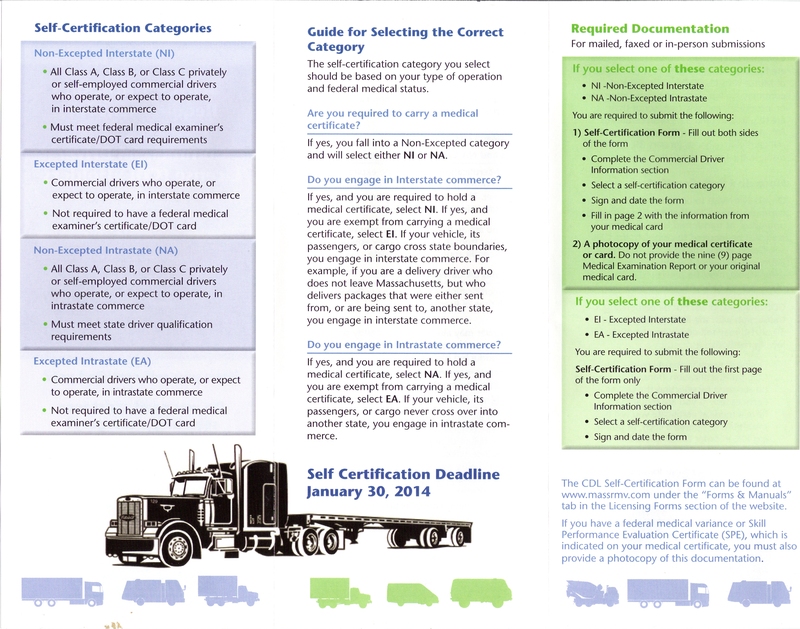 Look under the heading "Checking Self Certification Status" in the second picture for directions. 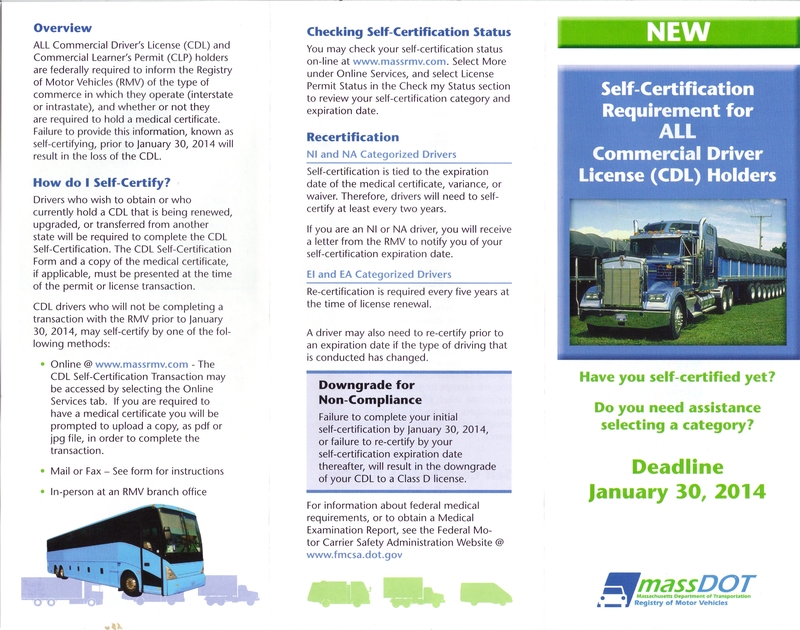 I have a CDL myself, and got these reminder flyers in the mail on Friday, so I thought it would be worth posting here to help out.